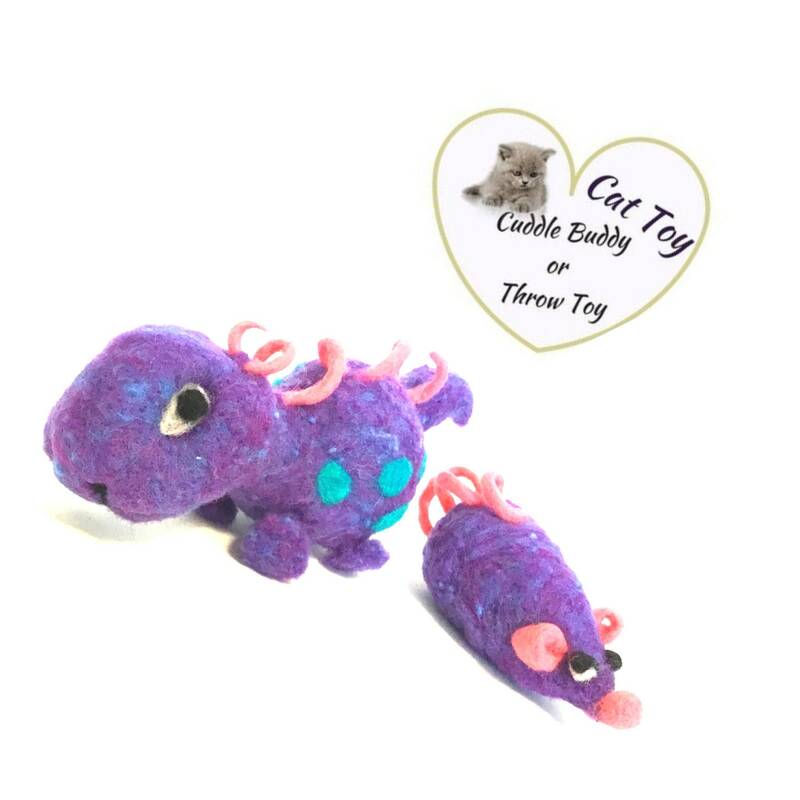 This great matching purple dinosaur and mouse are cat play toys. 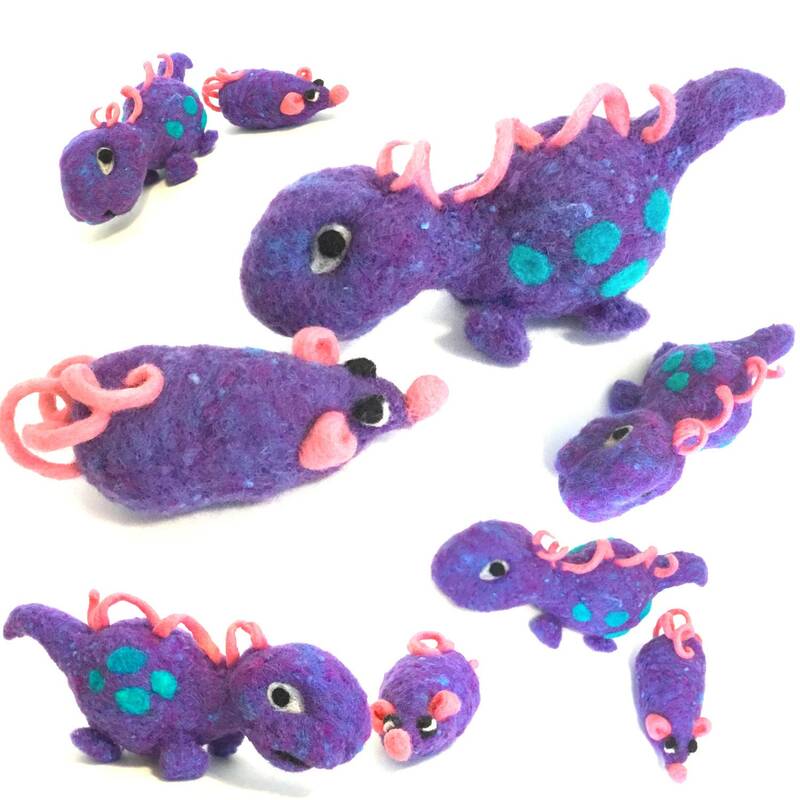 They were needle felted in purple and green art wool with a nobly style finish that is very different. This wool has a blue mixed together with the purple and gives it a great texture. 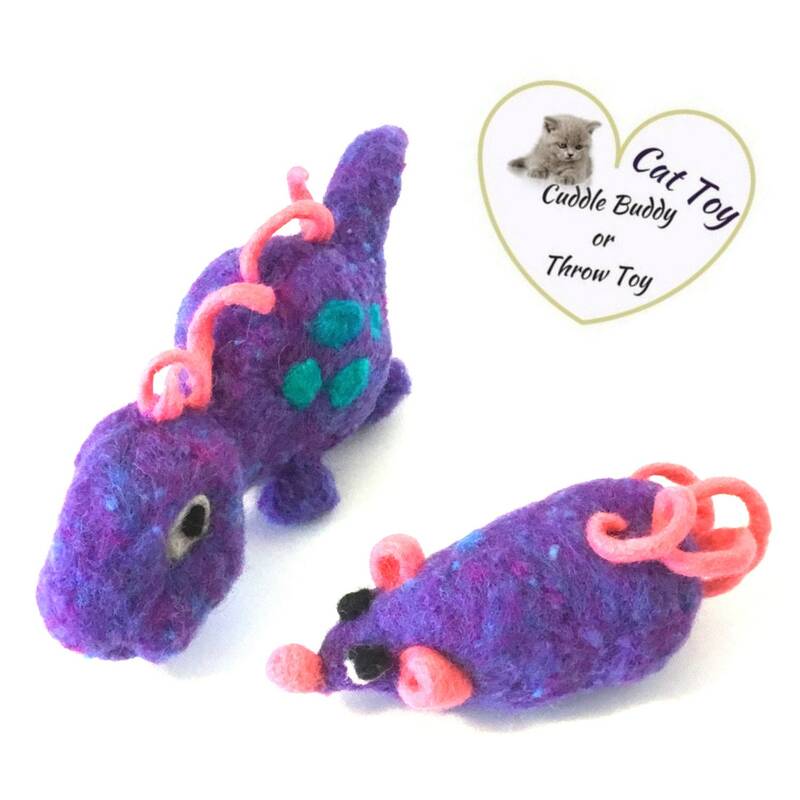 They both have curly hot-pink decorations, and the mouse has hot-pink nose, ears and tail. that adds to their attraction! 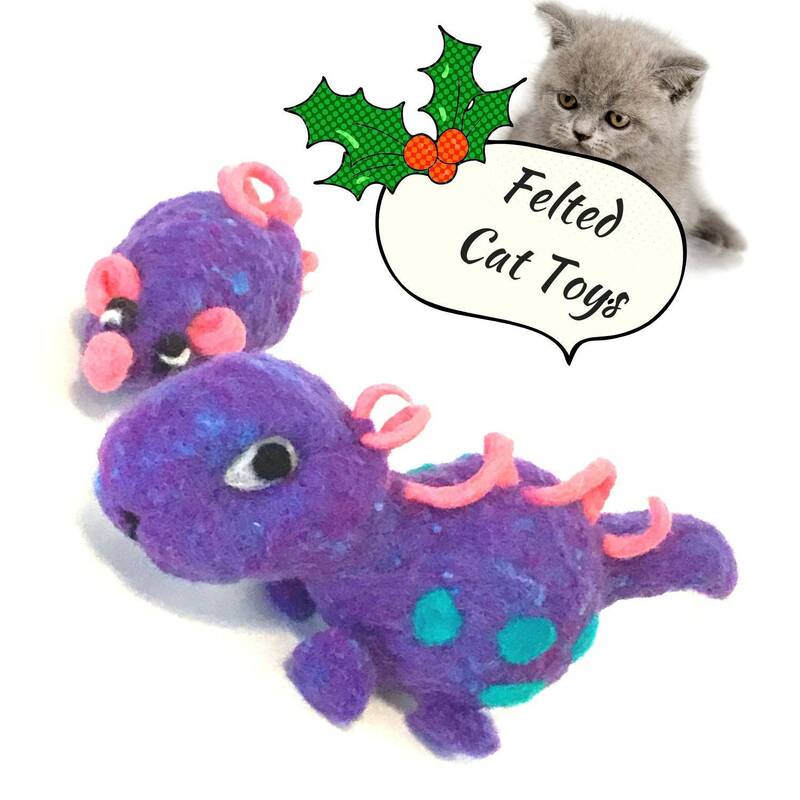 They were needle felted with catnip to entice your fur child and an interior bell. 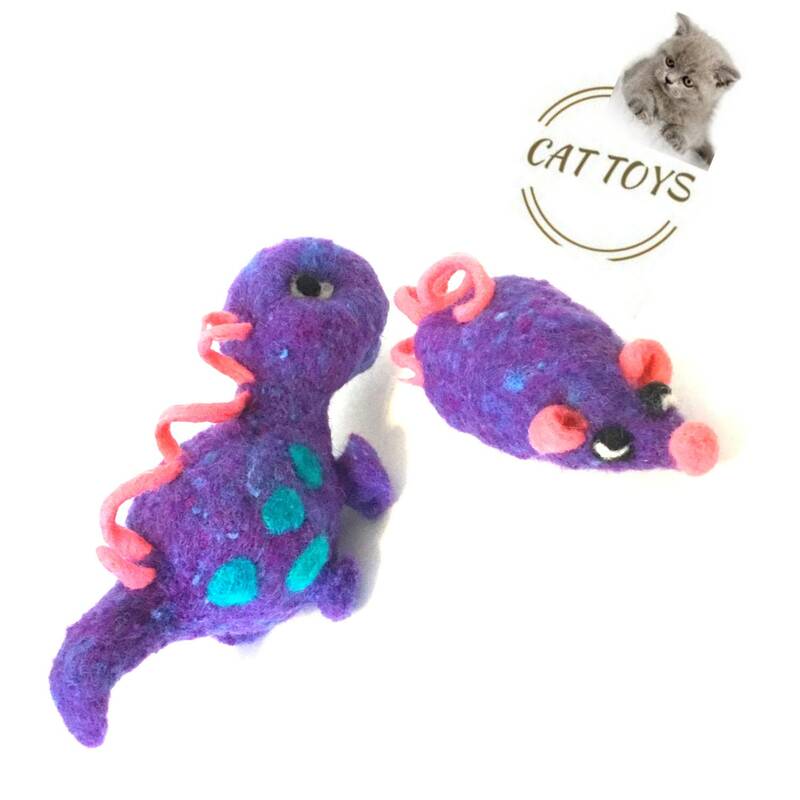 Both are hand felted and you can be sure your cat will love them! 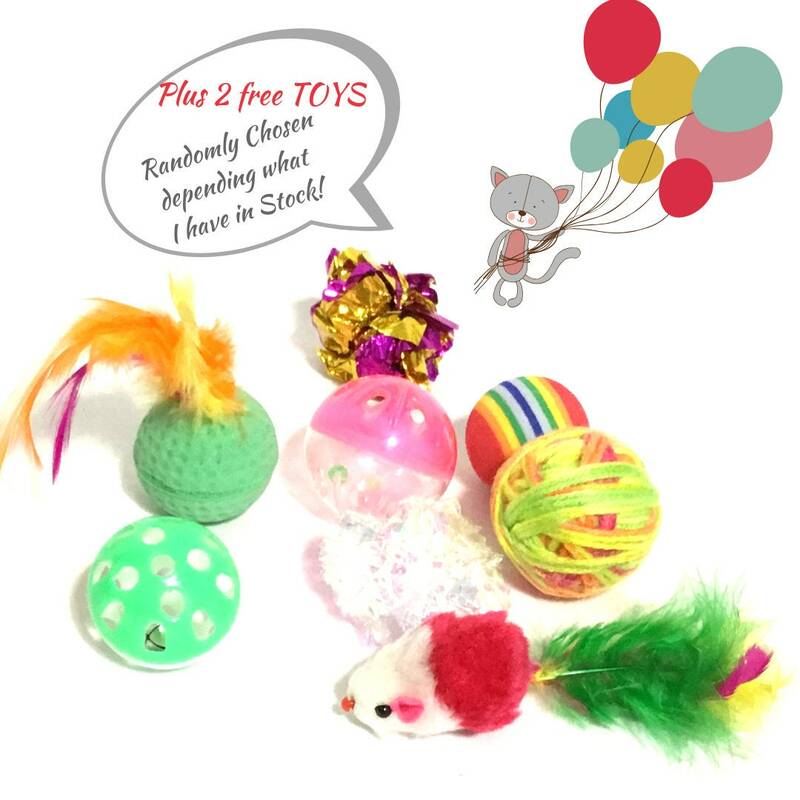 Plus I have added two fun toys as listed above! 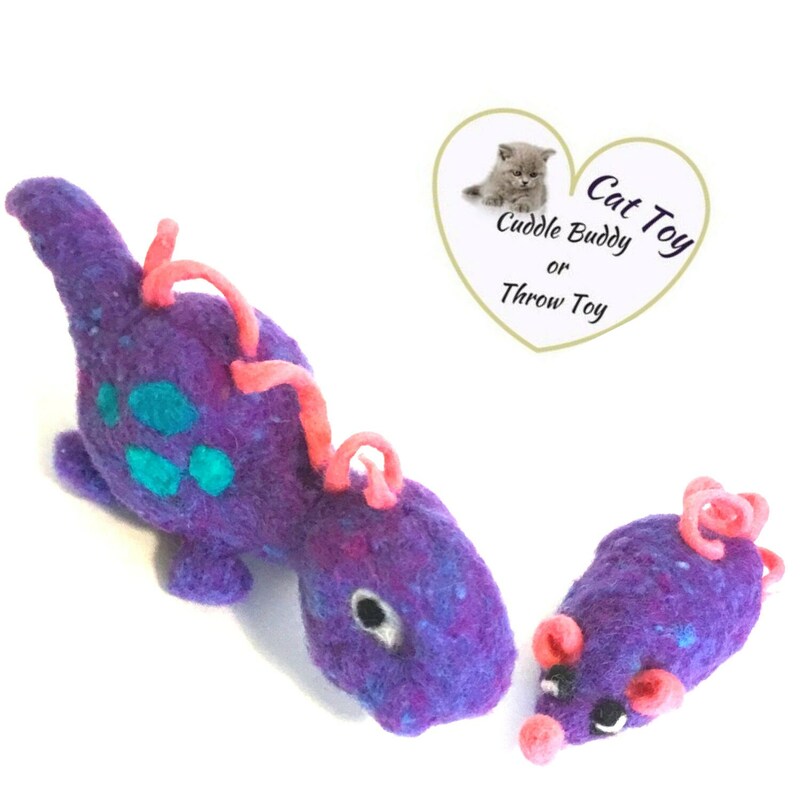 The dinosaur is 7 1/2" by 3 1/2"... the mouse is 5" by 2" and can be a cuddle buddy or throw toy. They would also be suitable for someone with a collection of sculptured ornaments! 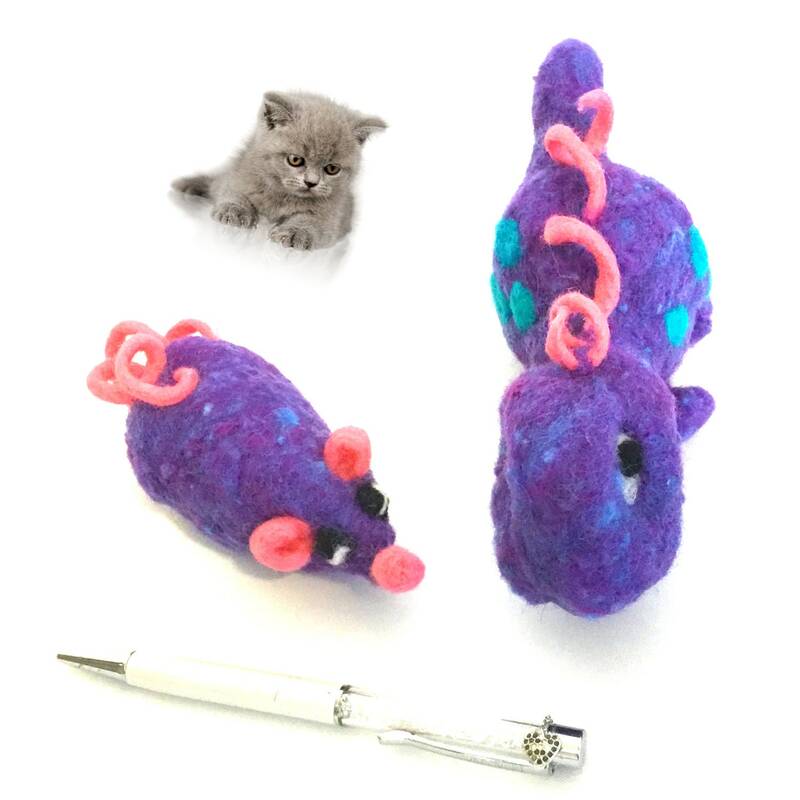 Cats are attracted by the wool odour because of the natural Lanolin in the wool. I know our Pet's actually become part of our family, like fur children to some. 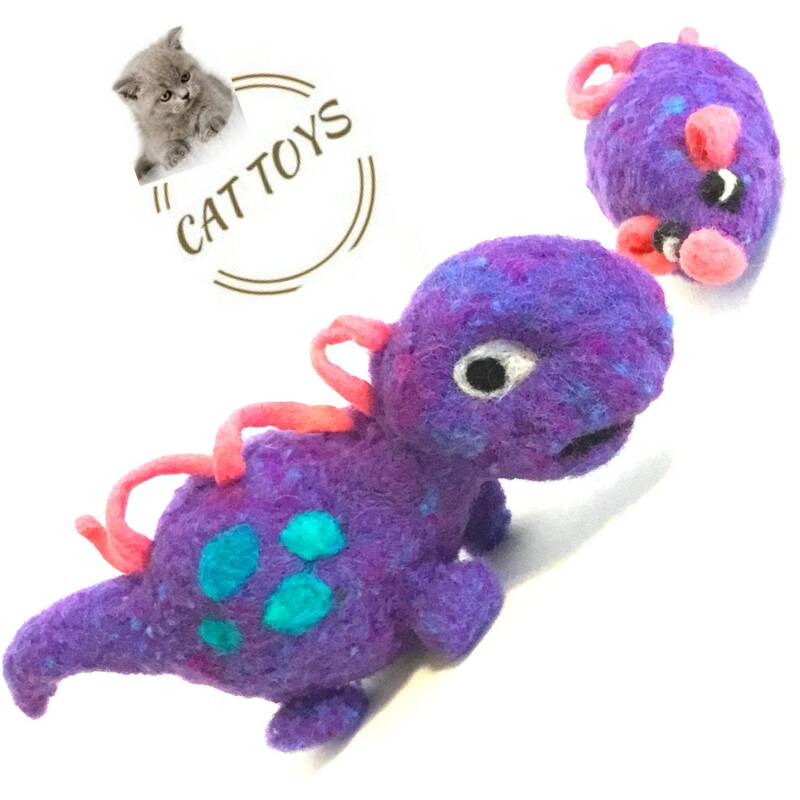 They are cute and cats love the wool. 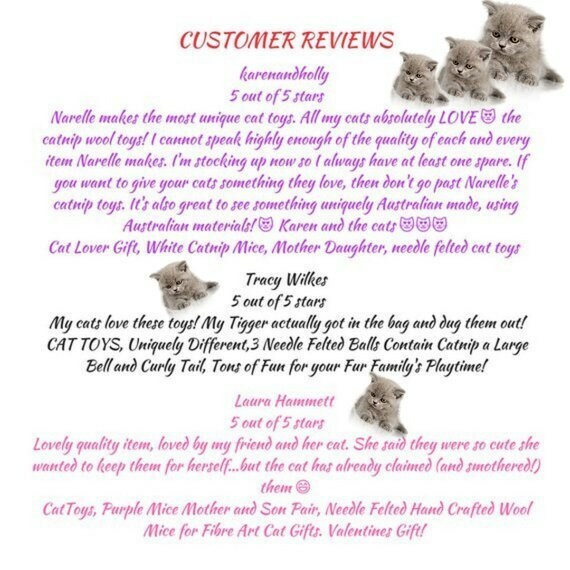 So have fun and spoil your pet! I can't reduce the cost of postage but if you order more than one item they all come under one postage charge, AND they make great gifts!